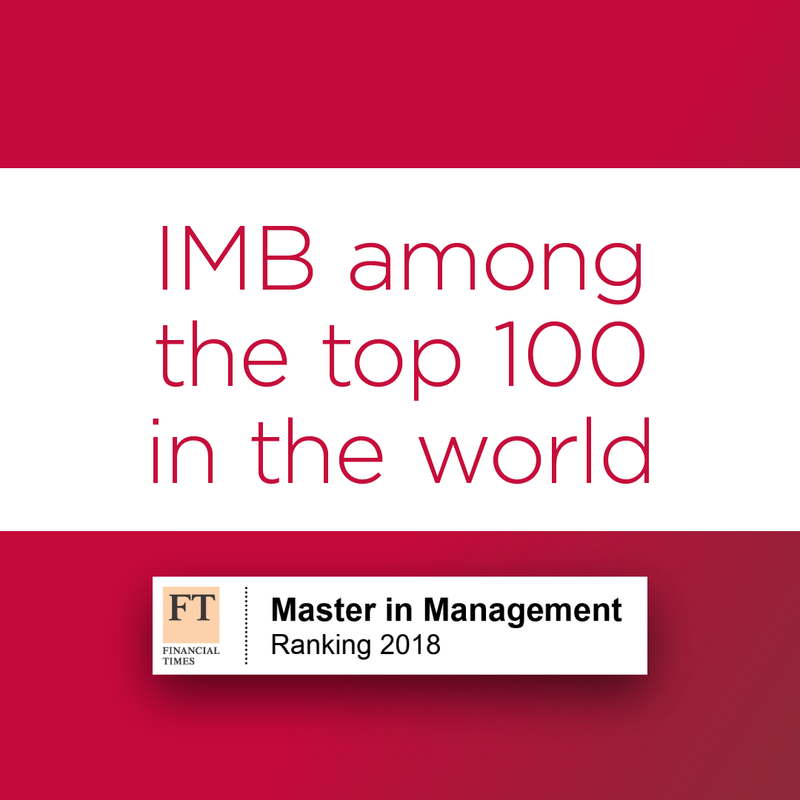 The Faculty of Economics of the University of Ljubljana is proud to announce yet another success because its “International Master in Business and Organisation” (IMB) programme features in the prestigious Financial Times’ ranking of the world’s best “Master in Management” programmes. Its well-reputed international accreditations (EQUIS, AACSB and AMBA) means the Faculty of Economics of the University of Ljubljana (FELU) ranks among the top 1 percent of business schools in the world. In 2018, the FELU has achieved even greater success with its “International Master in Business and Organisation (IMB)” programme because the latter is included in the prominent 2018 Financial Times’ ranking of world’s best masters in management. Although there are many such rankings of universities and business schools, the Financial Times’ ranking is still the most widely recognised in the international business community, with the rank itself proving the programme’s quality and the excellent graduates who are highly employable upon completing their studies. Besides the programme, teachers, contacts with the business community and internationalisation, the key elements that influence the ranking mainly include the graduates’ high level of employability and their salary upon completing the study as well as three years later. The FELU is particularly proud of the fact that the programme, according to the criterion of quality with regard to tuition fee and length of study, is acknowledged as the second best of all those qualifying for this prestigious ranking. 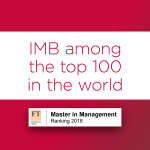 Being included in the ranking is not only a mark of prestige but also ensures the IMB programme graduates’ greater recognisability in the international labour market, whereas for the FELU it is a certification of its quality and reputation within the international business education community. Boasting a 25-year tradition, the International Master in Business and Organisation (IMB) programme is considered one of the most established master’s programmes in SE Europe. Thanks to cooperation with several renowned international lecturers from America and Europe, it is delivered exclusively in the English language. This programme is intended for young and ambitious students at the start of their business career. Since commencing in 1993, the programme, which in 2018 was completed by the 25th generation of highly motivated and capable students, has been finished by 774 students, who are today important players not only in Slovenian companies and other institutions, but also internationally. Today, IMB graduates are key employees in leading Slovenian companies (Zavarovalnica Triglav, Gorenje, NLB, Mercator, Petrol etc. ), while some also work in global multinational enterprises and institutions such as Google, Procter & Gamble, EBRD, BMW, Adidas, Mahle and many more. The small group of students, close ties with the business world, the world’s leading universities as well as the international environment are vital components that result in the high employability of programme graduates. The IMB programme celebrated its 25th anniversary in 2017. During all these years, it has been growing and developing under the leadership of Prof. Dr Janez Prašnikar, who on the occasion of this important success commented: “By including the International Master in Business and Organisation (IMB) programme in the Financial Times ranking of the top 100 Master in Management programmes in the world, the Faculty of Economics in Ljubljana and the University of Ljubljana have both been awarded with a great accolade. This is the result of the hard work of all those who have participated in the programme over the last 25 years. Such success is at the same time a special challenge for the future. I am certain the programme will also be successful in the years to come”. Prof. Dr Polona Domadenik, Head of the IMB programme since 2017: “The IMB programme is the outcome of many years of dedicated work by Prof. Dr Prašnikar who has successfully brought to life the vision of high-quality business education from the international arena to Slovenia, while also linking the programme with the Portorož Business Conference which, for students, constitutes their first serious contact with the business world. For 25 years now, the programme’s graduates have been writing success stories in Slovenian and foreign companies. The inclusion in the top-ranking programmes is the result of hard work, excellent students as well as successful and dedicated alumni who maintain their contacts with the programme and strengthen its reputation in the business community. Being included in this ranking not only brings great honour but also a responsibility vis-à-vis the current and all future generations of graduates”. The FELU Dean Prof. Dr Metka Tekavčič pointed out: “Two things are important for today’s success: one is the inclusion in the ranking, and the other is the recognition of the high quality we have been achieving with a modest budget. At the same time, it is an acknowledgment of the long years of the FELU’s efforts to create, maintain and upgrade the related quality, together with all the stakeholders, all of which has been financed from outside the budget and is a testament to the selfless work of all our colleagues. Using funds from outside the scope of the budget, we have been able to ensure a high level of quality that could not otherwise have been provided by relying solely on budget financing. It is only proper that we also clearly inform the Slovenian public of this. I am very pleased with our every success and am proud that the FELU knows how to navigate through the turbulent social waters as well as identify a way forward and upwards”. Nastja Vidmar, President of the Alumni Association MBA Radovljica, which brings together the IMB programme graduates and students: “Being included in the world’s top 100 master’s programmes is an extraordinary acknowledgment not only for the IMB programme but also for those who cooperate with it. Part of the credit for this is undoubtedly due to the outstanding contribution made by members of the Alumni Association MBA Radovljica. Through different activities in the past 23 years, both individuals and companies have been promoting the development of the current generations, fostering the Association’s existence with their loyalty and striving to establish connections and integrate the current generation with other Association members together with successful domestic and foreign companies. This outstanding event clearly confirms the students’ and alumni’s determination and pride that comes from being part of this community”.